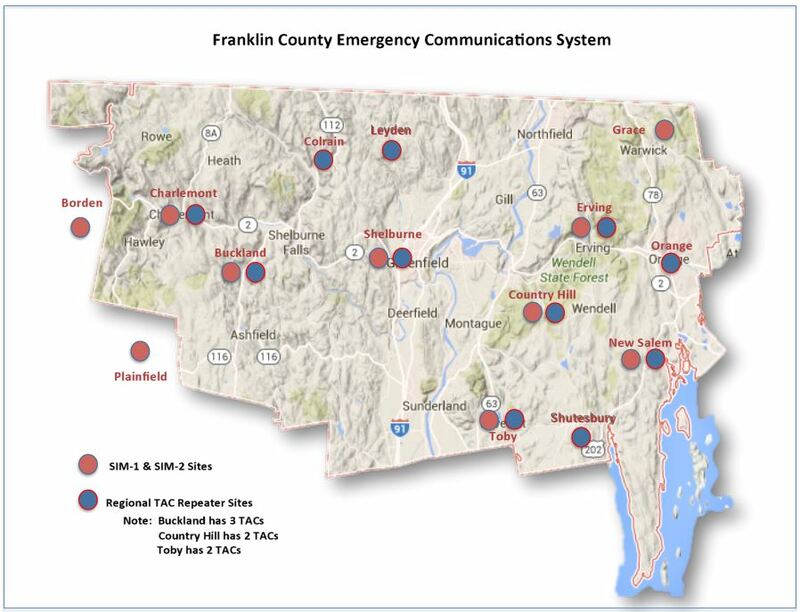 The Franklin County Emergency Communications System Oversight Committee oversees construction and maintenance of a regional interoperable communications system linking police, fire, emergency medical services, and dispatch communications throughout and beyond the Franklin County region. Committee membership consists of a representative from the Franklin County Police Chiefs Association, the Franklin County Fire Chiefs Association, the Franklin County Emergency Medical Services Committee, the Franklin Regional Council of Governments Executive Committee, Tri-State Fire Mutual Aid, Shelburne Dispatch Control, and the Franklin County Sheriff’s Office. The Committee meets monthly. In February FRCOG representatives met with the Executive Office of Public Safety and Security (EOPSS) along with our State and Federal legislative delegation in Northampton. The goal for this meeting was to increase EOPSS’ commitment to bringing on Franklin County’s public safety stakeholders to the Commonwealth of Massachusetts’s Interoperable Radio System. At that meeting, EOPSS reiterated that they understood Franklin County’s issues with its current system and is working to make us a priority. In March the Executive Office of Public Safety and Security sent FRCOG the statement of work for the engineering study that is need for the project to move forward. EOPSS made numerous changes to the original document. Those changes made it clear that Franklin County is included in the engineering study and for the vendor to make us a priority when developing the schedule. The FRCOG was recently told that a vendor, Mission Critical Partners, was selected and a kick off meeting was held. A that meeting the statement of work for the CoMIRS project was reviewed and updated. Franklin County figured prominently in the edits to the original statement of work. This means that the engineering study will include how the current state radio system will need to be altered to bring Franklin County public safety stakeholders onto CoMIRS. You can read the statement of work by clicking on this Link. 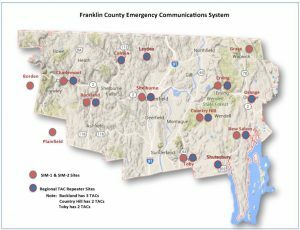 In the coming months the public safety community and town officials will need to decide on the future of emergency communications in Franklin County. To put it bluntly, the current system is failing. It is not meeting the communication needs for those who protect us. In an effort to inform you on the current situation prior to making this very important decision, please review the newest fact/update sheet by clicking on this link. For older minutes, please contact Dan Nietsche. Meeting agendas are posted on the Meetings & Events calendar on the date of the meeting. John Paciorek, Franklin County Police Chiefs Assn. Walter Tibbetts, Franklin County Fire Chiefs Assn.